Whether you are pulled over by police while driving or you get stopped as part of a sobriety checkpoint, DUI stops can be as intimidating as they are overwhelming, especially if police are treating you like a suspected drunk driver. In such cases, knowing your rights during DUI stops can go a long way to protecting yourself, as it can help you avoid giving police anything they can use as evidence against you. Knowing and exercising your rights during DUI stops can be crucial to protecting yourself and limiting the possible evidence that police have against you. 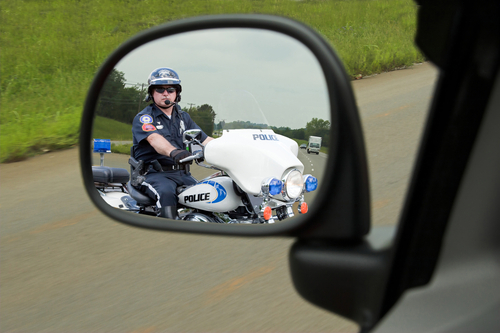 In this two part blog, we’ll highlight your rights during DUI stops. If you have more questions about your rights or need assistance defending yourself against DUI charges, don’t hesitate to contact Denver and Boulder Metro Area DUI Defense Lawyer Christopher Griffin. Remain silent – Aside from telling police your true legal name, you do not have to say anything else or answer their questions. This means that, if a cop asks you where you are coming from, where you are going or whether you have consumed any alcohol prior to getting behind the wheel, you do NOT have to answer these questions. In fact, if the answers to any of these questions could be incriminating to you, it’s best that you exercise your right to remain silent, do not answer the question and do not lie to police. Refuse to submit to field sobriety testing – Few people are aware of this, but the fact is that, during DUI stops, you have the absolute right to refuse to submit to field sobriety testing. Additionally, your refusal to comply with such testing will NOT result in automatic penalties (like, for instance, the automatic suspension of your driver’s license). Instead, what usually happens when people refuse to submit to field sobriety testing is the police will then request that drivers either take breathalyzer tests or submit to blood tests to check their blood alcohol levels. If you believe that, for any reason, you may “fail” field sobriety testing, it’s always better to refuse to submit to such testing, rather than try to take it and run the risk of failing and giving police more potential evidence against you. Be sure to look for the second part of this blog for a continued discussion regarding your rights during DUI stops. Facing DUI charges – or any type of criminal charges – can be both scary and stressful, as a conviction could cost you your reputation, your career, your family and even your freedom. If you or your loved one has been arrested for and/or formally charged with DUI or any crime, Christopher Griffin wants you to know that he is ready to immediately start providing you with the strongest possible defense against police and prosecutors – both outside and inside of the courtroom. To receive a complete evaluation of your case, along with professional advice regarding your best options, contact us by calling 303-280-1070 or by emailing us using the form at the top of this page.